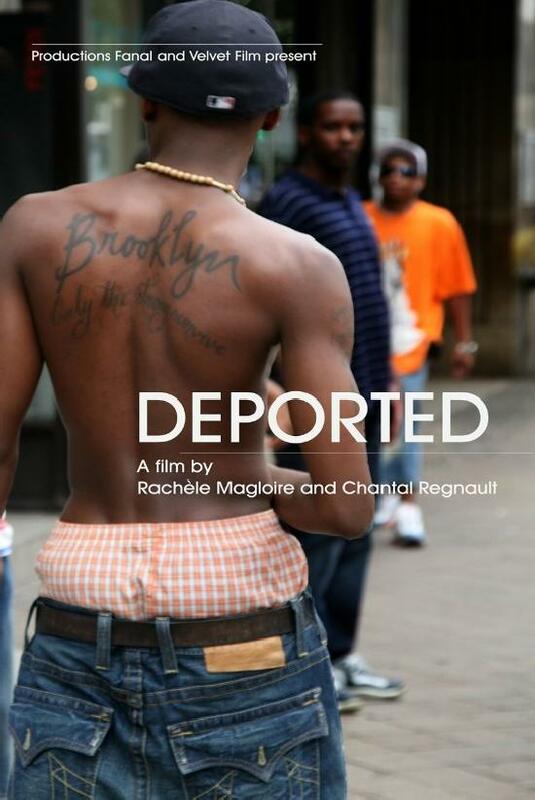 “Deported,” by Rachèle Magloire and Chantal Regnault, makes its U.S. television premiere on Sunday, June 8, at 9pm ET/8pm CT/7pm MT/6pm PT. 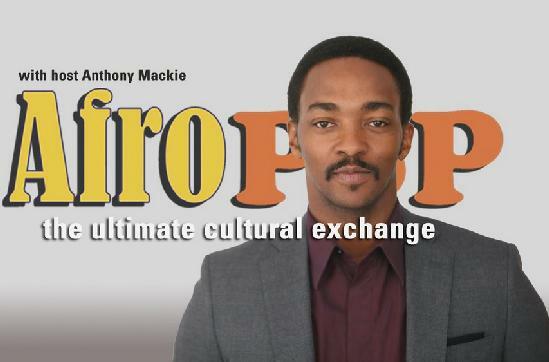 “AfroPoP” is hosted by acclaimed actor Anthony Mackie, produced by National Black Programming Consortium (NBPC), and co-presented by American Public Television (APT). Since 1996 and 2002, respectively—barring a one-year respite following the deadly Haitian earthquake of January 2010—the United States and Canada have each implemented a policy of repatriation of all foreign residents who have committed crimes on their soil. These infractions range from violent crimes to convictions for such offenses as driving while intoxicated or petty theft. “Deported” follows seven of these North American offenders as they return to Haiti for the first time since leaving as children to face an unfamiliar and hostile homeland. The film exposes the heavy burden facing Caribbean and Latin American countries due to the forced “migration” of these immigrants—who often have no family ties and no support system in the new environment to help them re-integrate into society. NBPC will also offer additional online programming in June surrounding the special. A series of Caribbean shorts will screen on NBPC’s website, www.blackpublicmedia.org. The first two shorts, together with “Deported,” are part of a three-part examination of immigration from the Afro-Caribbean perspective. These films include Kareem Mortimer’s “Passage,” in which a Haitian woman and her brother are smuggled on a fishing vessel to the Bahamas (June 2); and Lisa Harewood’s “Auntie,” which focuses on an often ignored side effect of migration: the disruption and heartache in the lives and relationships of the people left behind (June 16). On June 23 “Vivre,” by Maharaki, will screen. In this short, a teacher asks her class what they want to do when they grow up; while his classmates happily respond, Tom, a quiet 10-year-old boy, slips away. Rounding out the program on June 30 will be the documentary short “Small Man” by Mariel Brown, which follows an ordinary man of modest means who creates models, dollhouses and more in a small workshop in his home. Along with WORLD Channel airings, APT will distribute “AfroPoP” to local public television stations nationwide in June 2014. For more information on “AfroPoP,” visit www.blackpublicmedia.org. To find out when and where to watch, check your local listings or visit www.worldchannel.org. Mackie recently joined the Marvel Comics family playing Sam Wilson/the Falcon in “Captain America: The Winter Soldier,” released in April. Every two weeks, about 50 Haitian nationals are deported from the United States; 40 percent are convicted legal residents who completed their jail sentence in America. To a lesser extent, Canada applies a similar policy. Through the portraits and interviews of four deportees in Haiti and their families in North America unfold the tragedy of broken lives, forced separation from American children and spouses, alienation and stigmatization endured in a country they don’t know and don’t understand, since most of them left at a very early age. English is their language and North American culture their reference. They experience deportation as a cruel and unusual punishment and are longing for home. Most will fail to reintegrate in a poor and battered country that has so little to offer them. The subject matter goes far beyond the borders of Haiti and addresses the global issue of migratory policies. Chantal Regnault (author/co-director) was born in France and moved to the United States, where she settled in New York City and studied at New York University. Primarily a photojournalist, she has been published in numerous newspapers and magazines: The New York Times, The Village Voice, Libération, Newsweek, Vanity Fair, Aperture, Geo and Photo. Her work has been exhibited in the United States, Europe and Haiti and belongs to the following collections: UCLA Fowler Museum of Cultural History, Los Angeles; The William Benton Museum of Arts, University of Connecticut; Museum für Kunst und Geschichte, Freiburg; La Maison Européenne de la Photographie, Paris. She has worked in the preparation and production of a dozen documentaries, among them Haïti, la fin des chimères? by Charles Najman (2004); In the Mirror of Maya Deren by Martina Kudlácek (2001) and a BBC series, Zombies of Haiti (1996). National Black Programming Consortium, a national, nonprofit media arts organization, is the leading provider of black programming on public television and the greatest resource for the training of black media professionals within the Public Broadcasting Service (PBS). Black Public Media develops, produces and funds television and online programming about the black experience. Since its founding in 1979, it has provided hundreds of broadcast hours documenting African American history, culture and experience to public television. For more on NBPC and its initiatives, visit http://blackpublicmedia.org. The WORLD Channel is a 24/7 public television channel dedicated to delivering the best of public television’s nonfiction, news and documentary programming, and a growing schedule of original content from independent producers. The complementary website www.WORLDchannel.org expands on broadcast topics and fuels content across social media, providing opportunities for broad and diverse audience interaction. WORLD is produced and distributed by WGBH Boston, WNET New York Public Media and American Public Television (APT) in association with the Public Broadcasting Service (PBS) and the National Educational Telecommunications Association (NETA). The WORLD channel is available in markets representing more than 57 percent of US TV households, and 15 of the top 25 markets, including New York, Los Angeles, Philadelphia, Dallas, Boston and Atlanta. Funding for WORLD is provided by the Corporation for Public Broadcasting (CPB) and The Ford Foundation. American Public Television (APT) has been a leading distributor of high-quality, top-rated programming to the nation’s public television stations since 1961. APT also has distributed about half of the top 100 highest-rated public television titles for nearly 10 years. Among its 300 new program titles per year, APT programs include prominent documentaries, news and current affairs programs, dramas, how-to programs, children’s series and classic movies. “America’s Test Kitchen From Cook’s Illustrated,” “Rick Steves’ Europe,” “Doc Martin,” “Nightly Business Report,” “Moyers & Company,” “NHK Newsline,” “Lidia’s Italy in America,” “Globe Trekker,” “Simply Ming,” “BBC World News” and “P. Allen Smith’s Garden Home”join numerous documentaries and performance programs popular with public television viewers. APT licenses programs internationally through its APT Worldwide service. Now in its seventh year, Create® TV—featuring the best of public television’s lifestyle programming—is distributed by APT. APT is also a partner in WORLD, public television’s premier news, science and documentary channel. To find out more about APT’s programs and services, visit APTonline.org. This young man might fare better in America if he learned how to wear a pair of pants.